2. 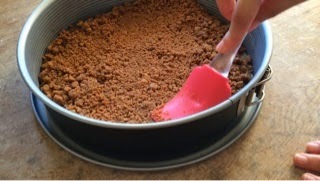 Melt the butter and mix with the crushed cookies then lightly press into the tin. add the sugar and vanilla pod, stir together. stir until a creamy mixture. 4. 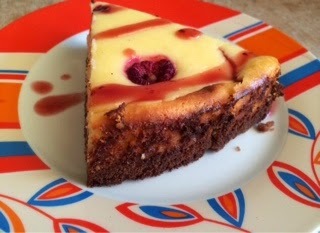 Spread the creamy mixture over the base add some raspberries and put the cheesecake in the preheated oven and bake for about 45 minutes. 5. 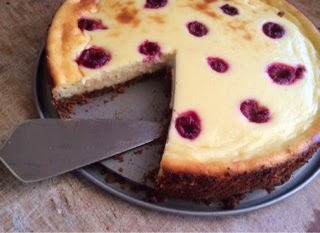 Allow to cool the cheesecake for about 1 hour and place it in de refrigerator at least for 3 hours bevore serving.